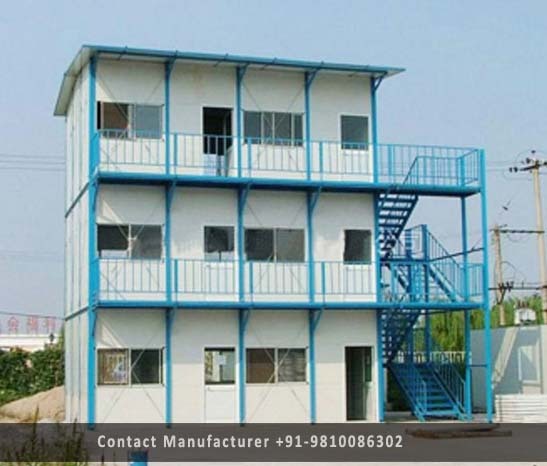 Prefabricated G2 Buildings Manufacturer in Delhi, Prefabricated G2 Buildings Supplier in Delhi, Prefabricated G2 Buildings in Delhi. DTH Prefab one of the major Organization manufacturing and supplying quality range of Prefabricated G+2 Buildings. Our offered Prefabricated G+2 Buildings are known in the market for their quick installation & high durability traits. Prefabricated G+2 Buildings are designed by our professional's team in various specifications as per client's requirements. Well furnished with excellent interiors and high weather resistant, we supply Prefabricated G+2 Buildings to our clients at best price.